The Ariat Junior Bromont H2O Boot is a traditional kids riding boot with modern technology to keep little feet dry and comfortable all day long. The Ariat Junior Bromont is a smaller verion of the popular Ariat Bromont Boot and is therefore perfect for kids, teenagers and petite women. 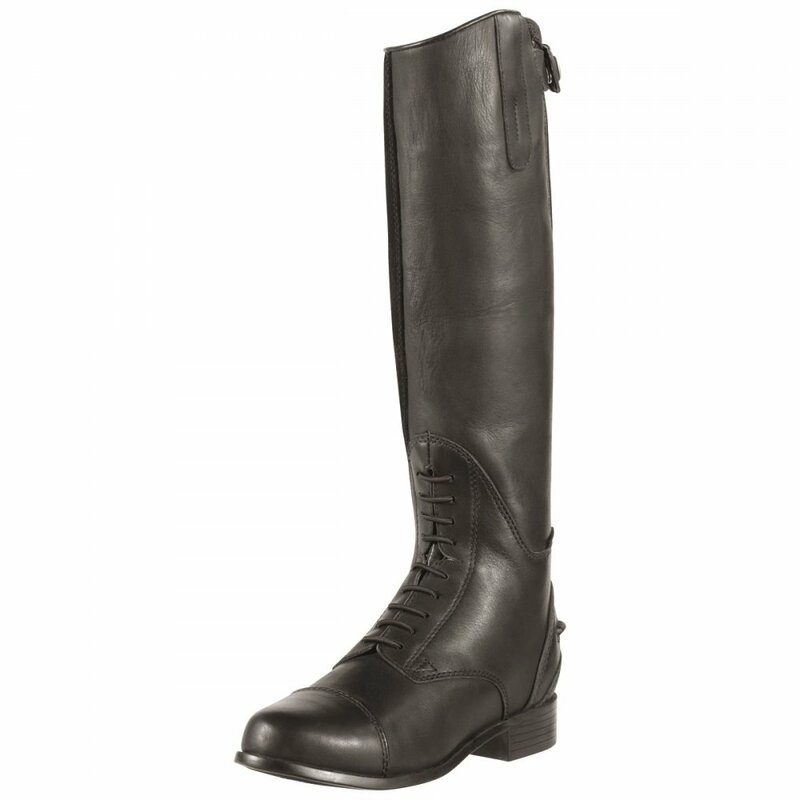 This riding boot features a waterproof membrane to keep your feet dry as well as a moisture wicking lining to ensure breathability around the feet and legs. The Ariat Junior Bromont H2O Boot is built with Ariat's Four Layer Rebound (4LR) technology to ensure all day comfort both in the saddle and on the ground. Bromont Boots have a lightweight composite shank that offers excellent support and encourages correct posture to reduce foot fatigue. The footbed on these Ariat Junior Bromont Boots is made from a four layer high density foam to offer cushioning all day long with heel and arch support.